Ever been so sold on a certain brand you start to think of yourself as a rabid brand loyalist? Well, I have become obsessed with DeLallo. You may remember a certain post for homemade pimento cheese? Well, those piquillo peppers were so glorious, I decided to branch out and try other items. 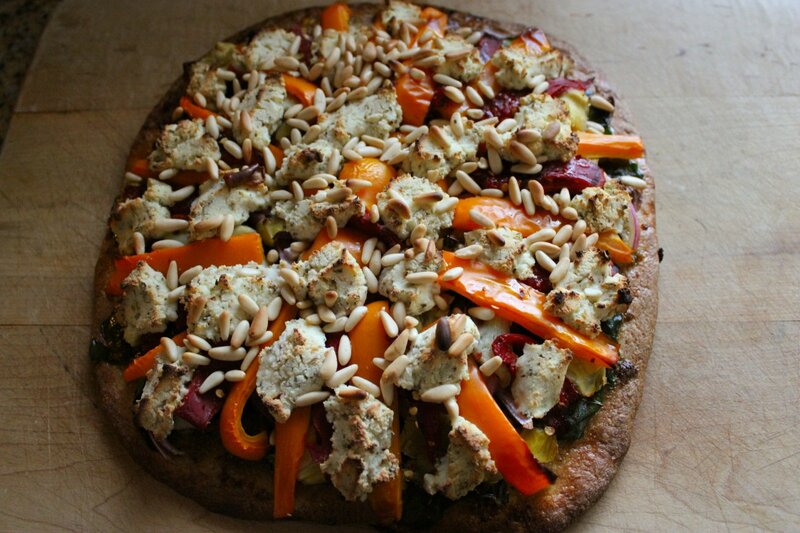 To the extent that I made a total veggie power pizza with some of their line. And you know what? Their other products live up to the piquillo pepper hype. I know… I’m out of control. But stay with me, because the pizza was awesome. 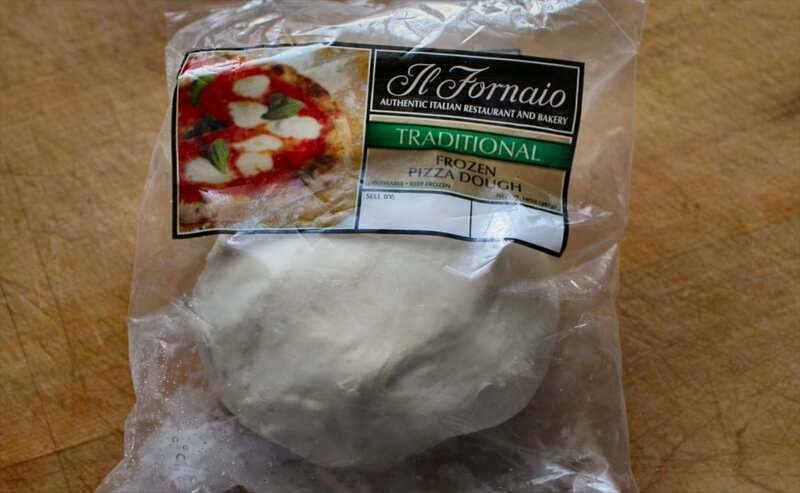 Secret foodie confession: I keep frozen pizza dough in my freezer at all times. The type I buy is just a frozen dough ball in a bag from my local HEB grocery store. I keep both the whole wheat and traditional white on hand. And not just for pizza. If you thaw it out and let it rise, it can double as breadstick dough, cinnamon rolls, etc. Pretty versatile stuff, really. So for this pizza, I thawed out a ball of the whole wheat and let it rise while I baked cookies. (More on that later, but it involves an on-line bake sale coming up later this month for which I am making cherry almond shortbread cookies dipped in chocolate. Break out your wallets, kids. You’re going to want to bid on these.) Here’s how the pizza baking went down. 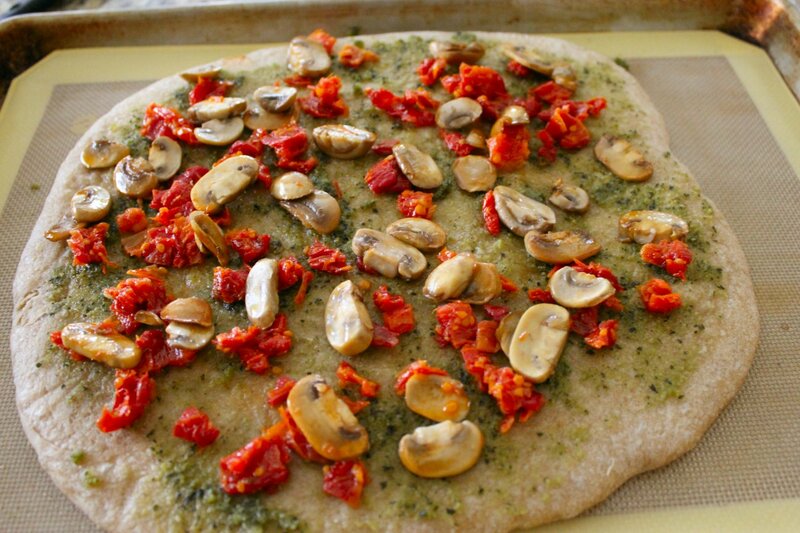 First, I rolled out the whole wheat dough and baked it for 10 minutes, brushed only with olive oil, to prevent it from getting soggy, then I layered on a schmear of pesto, some sun-dried tomatoes (drained) and mushrooms sautéed in chili oil. 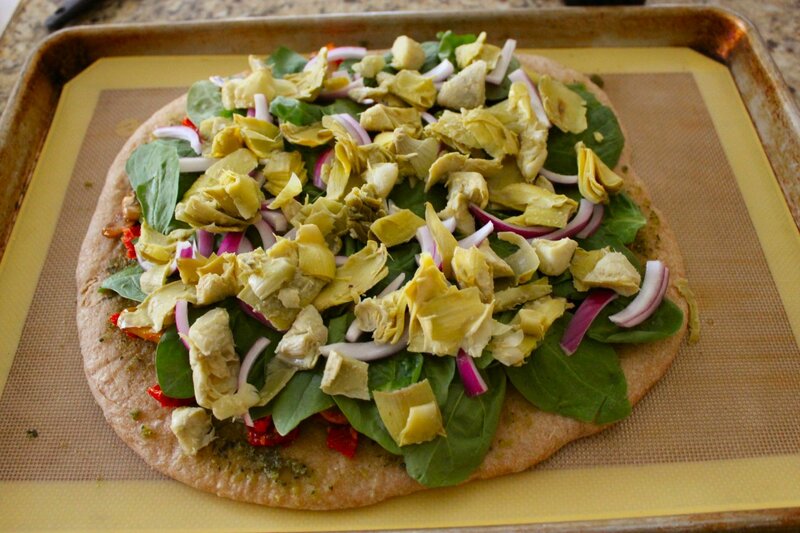 Next came a layer of fresh spinach, some sliced purple onion and the chopped & drained artichoke hearts. For the record, I L-O-V-E love artichoke hearts. But wait! There’s more! Next, I got artsy with my orange bell pepper and roasted piquillo peppers. Yes, I play with my food. :) The Complete Package walked into the kitchen just as I finished laying on the peppers and said “this is going on the blog, isn’t it?” Psssh, what do you mean? All my food looks this good! Okay, whatever. Yes it’s for the blog, smartass. Still, it’s pretty! 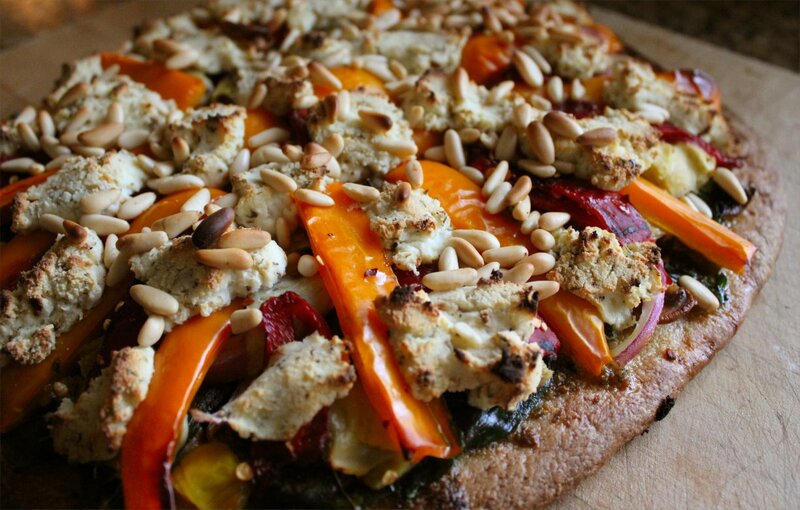 And then, just when you’re thinking “Holy craptastic veggie goodness! What else could she possibly add?” I threw on some ricotta cheese seasoned with oregano, basil, garlic salt & red pepper flakes, some pine nuts I toasted in a skillet, and a drizzle of extra virgin olive oil. Looks good, doesn’t it? I know what you’re thinking, and you’re right. That’s a whole lotta veggie. But we’re not done yet. You gotta pop that beast into the oven and bake at 425F for 25-30 minutes. I like to bake mine on a Silpat mat for an extra crispy crust. 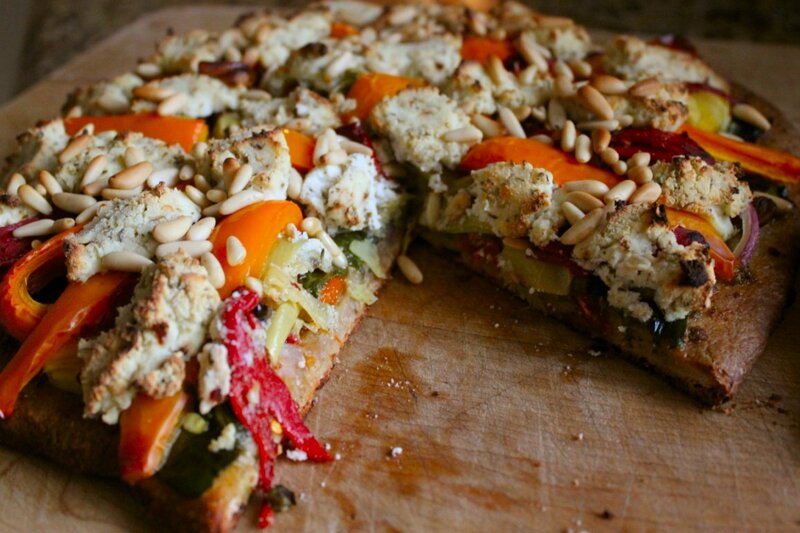 When the ricotta and pine nuts start getting brown around the edges, it’s done. Yeah, baby… that’s the good stuff. Now you have to let it sit for 5-10 minutes to settle down a little. Then, cut that puppy up and dig in! Boom. Done. Blow it up! For the record – it was delicious, we didn’t miss the meat, and it has completely solidified my deep and abiding love for all things DeLallo. Rabid. Brand. Loyalist. And not ashamed. Do you have a favorite brand or brands that you can’t live without? Please leave a comment and share. You never know what might spur my next food obsession! Please Note: I am not in any way compensated by the DeLallo Foods Company. I am (as I have stated) just a loyal lover of their products who is dead set on converting the rest of the world. Amen. 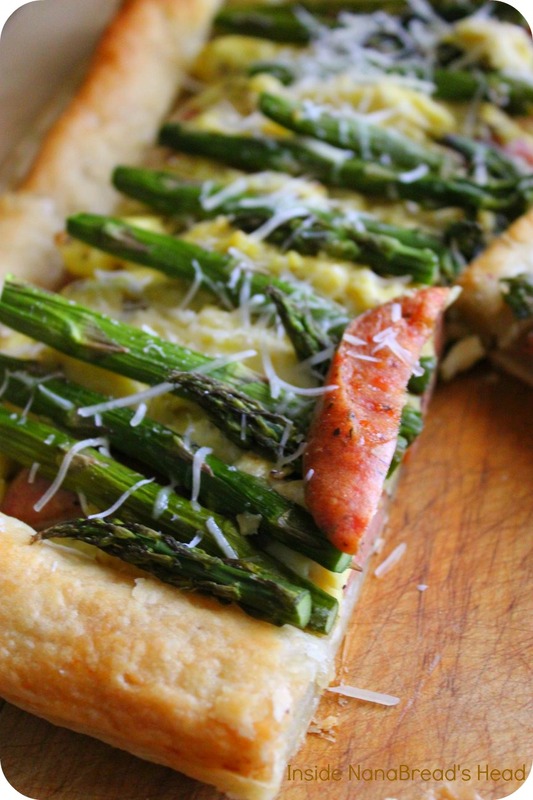 Thrown together in minutes, this lazy day pizza is a must have. The Complete Package was traveling last week, and when he travels I usually eat things like Honey Nut Cheerios for dinner. Hey, don’t knock it until you try it. They’re delicious. But after a while, even cold cereal can’t hold my attention. So what do you make when it’s 103F outside and you don’t want to spend hours in a hot kitchen? 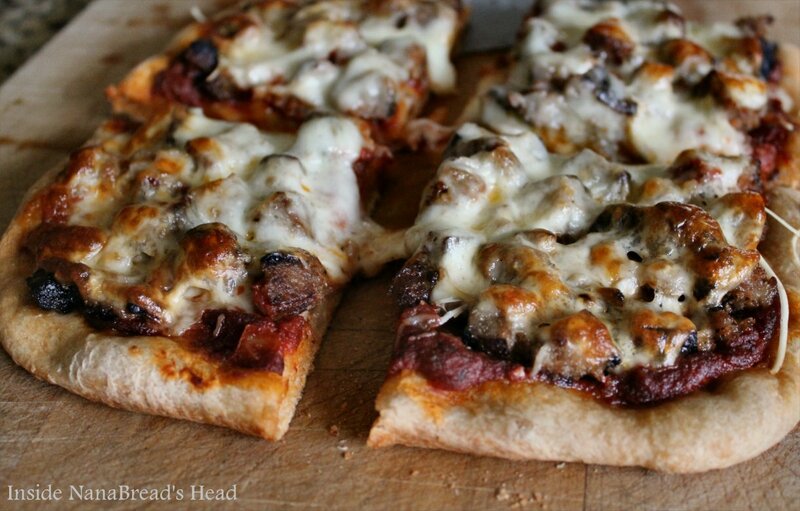 How about easy homemade pizza? Works for me! I started with a ball of frozen pizza dough in its whole wheat version. Just spray a mixing bowl with Pam, drop in the frozen pizza dough, give the dough ball a quick spray to keep it from sticking, and cover the bowl in plastic wrap. I like to secure the plastic wrap with a large rubber band. Better safe than sorry, I always say. For a rapid thaw at summer temps, place it on your back porch (out of the reach of kids and pets) for approximately 30 minutes. If you’re making this for dinner, you can let it rise on your kitchen counter all day. 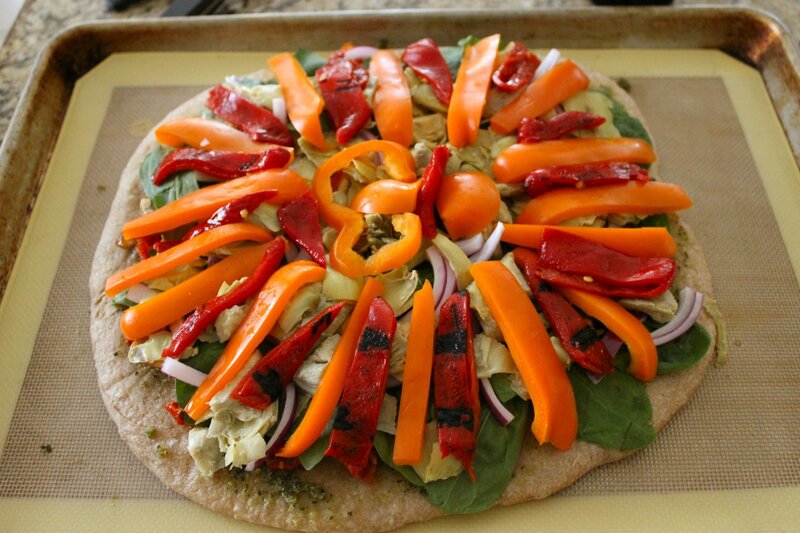 While the dough is thawing, I like to prep the rest of my toppings. 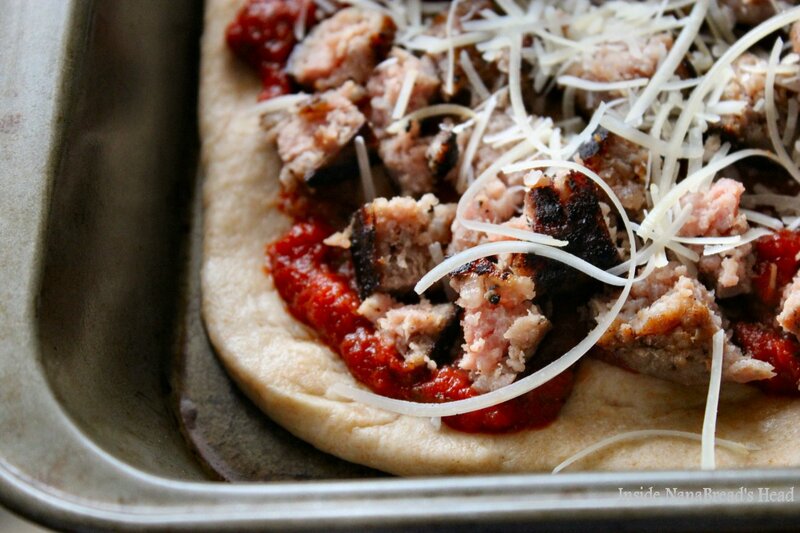 For this pizza, I browned one package of my favorite breakfast sausage in a skillet. I like to break it up with a wooden spoon and stir it frequently until done. 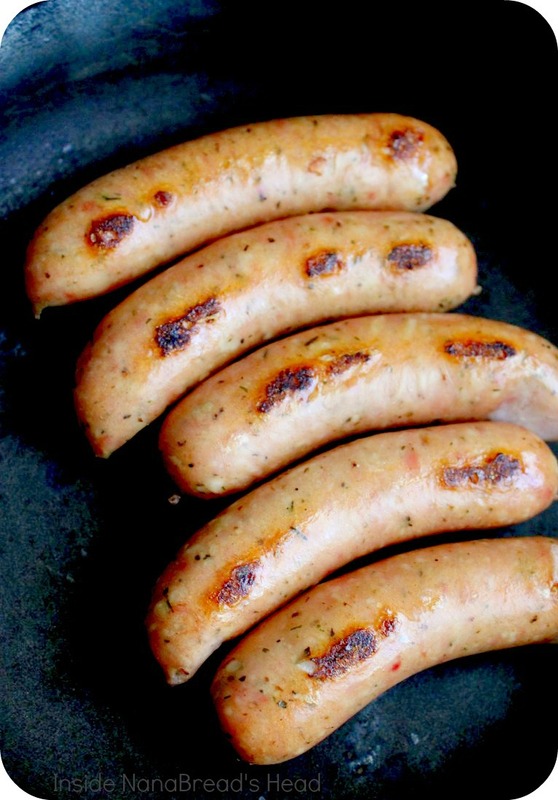 If it’s too greasy, drain the cooked sausage on paper towels, pour most of the grease off and return the skillet to the stove. 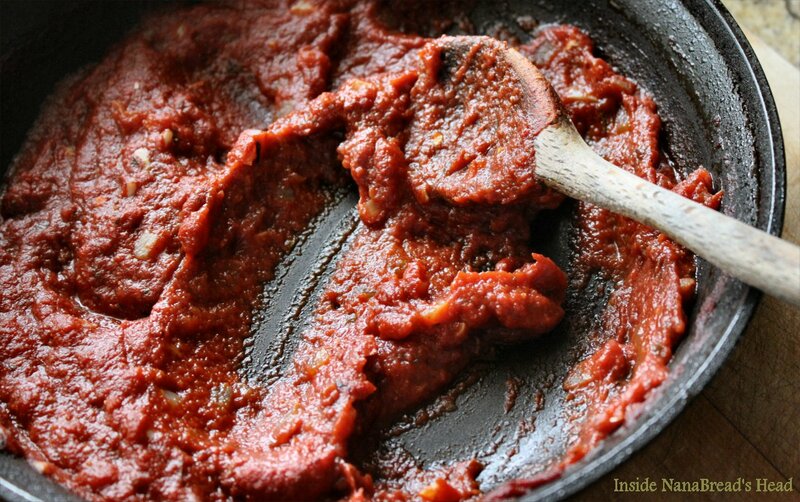 Next, I make my own pizza sauce. It’s easier than you think. Really. In the same skillet, brown half a small onion (chopped) and 3 cloves of garlic (minced) in about 1 tablespoon of the sausage grease. Once the onion starts to become translucent, add one 15-ounce can of pureed tomatoes. Toss in 1/8 teaspoon of ground oregano and 1/4 teaspoon of dried basil. 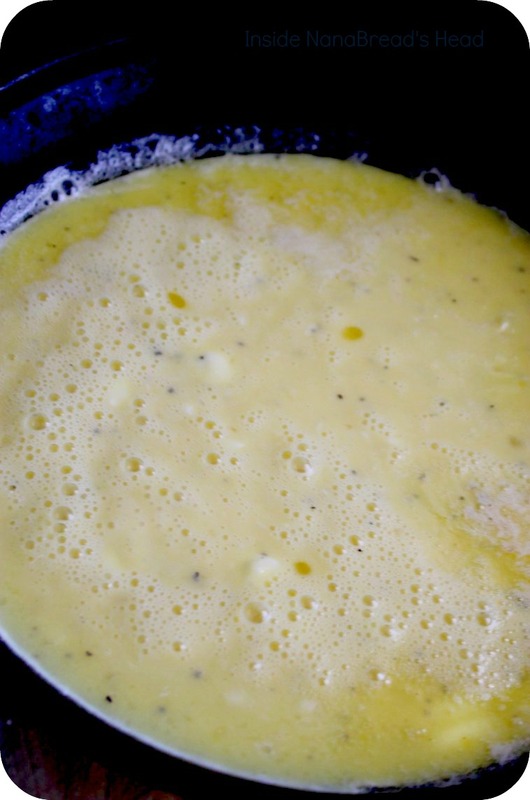 Allow the mixture to simmer for 5 to 10 minutes to thicken, then add salt and pepper to taste. If you like a little spice, throw in a pinch of red pepper flakes. That’s how I roll. 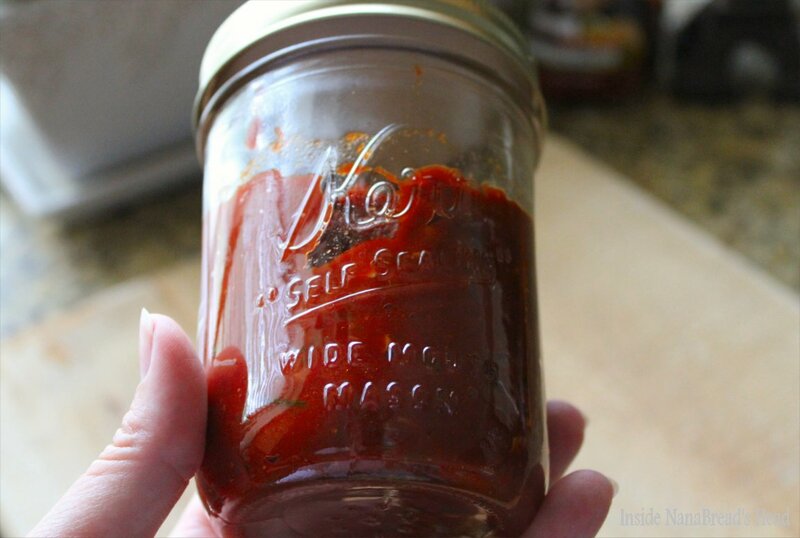 Homemade pizza sauce – it’s easier than you think & tastes better, too. Once your dough is thawed and risen, spray a cookie sheet or 13″ x 9″ baking pan, then gently press the dough into the pan. You can roll it; I use my fingers. Look at that gorgeous dough. You’d never guess it’s store-bought. Using a spatula, spread as much or as little pizza sauce as you like then top with the sausage, some grated parmesan cheese, and a nice layer of sliced provolone. 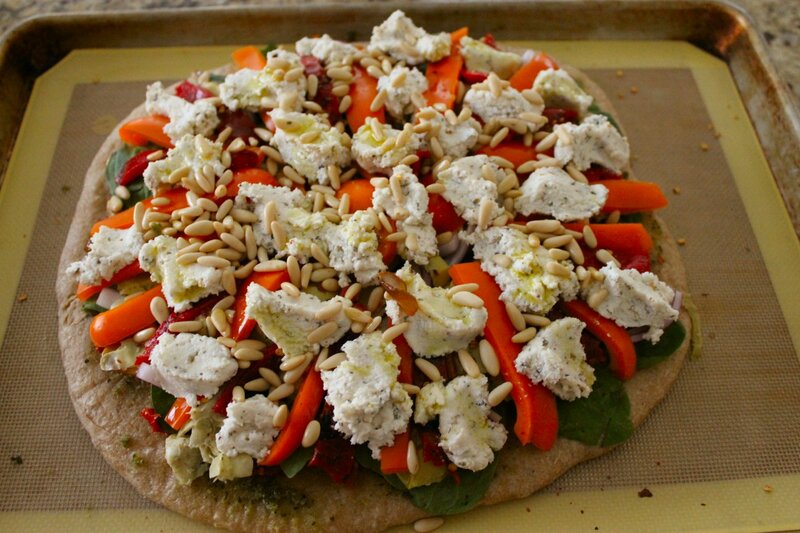 Building the pie – the only thing missing is the provolone. Yum! Bake at 425F for 15-20 minutes, or until the cheese begins to brown on top. Remove from the oven and allow to cool for 5 minutes before cutting & serving. Thatsa’ one pretty pizza pie! Feel free to change up the toppings to your preference. The options are literally endless – pepperoni & sauteed mushrooms, leftover grilled chicken & spinach, summer veggies, leftover steak, Canadian bacon & thinly sliced onions, meatballs (sliced or cut in half). Heck, you could even substitute alfredo sauce, buffalo sauce, or BBQ sauce and get really creative! 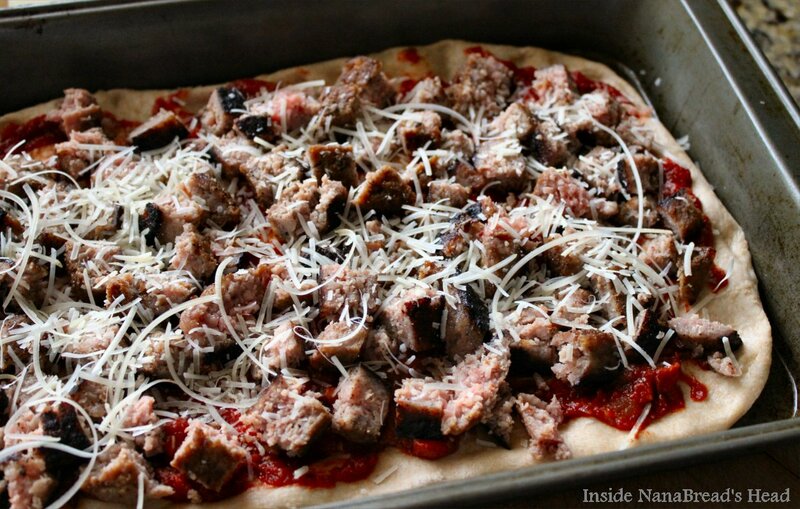 The point is that a good frozen pizza dough and a quick homemade sauce can turn any homemade pizza pie into a treat in mere minutes. So what are you waiting for? Sorry. This one’s for me. Go make your own pizza. Shoo! And if you like to multitask meals like I do, save that leftover pizza sauce. Yes, there will be leftover pizza sauce. You will not want to waste it. 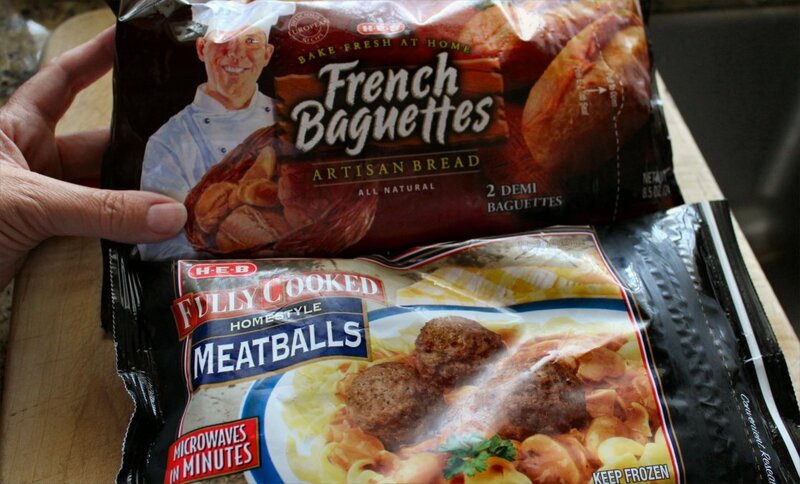 Grab a bag of frozen fully cooked meatballs from your local grocery store and a package of frozen French baguettes. They make another great meal in minutes. Yet another reason I love my local HEB grocery store. Throw the meatballs in a baking dish and cover with foil. Place the baguettes on a baking sheet. Heat your oven to 400F, then put the meatballs and bread in to bake. The baguettes are ready when they’re toasty on the outside and soft and warm on the inside. Both should be ready in about 20 minutes. 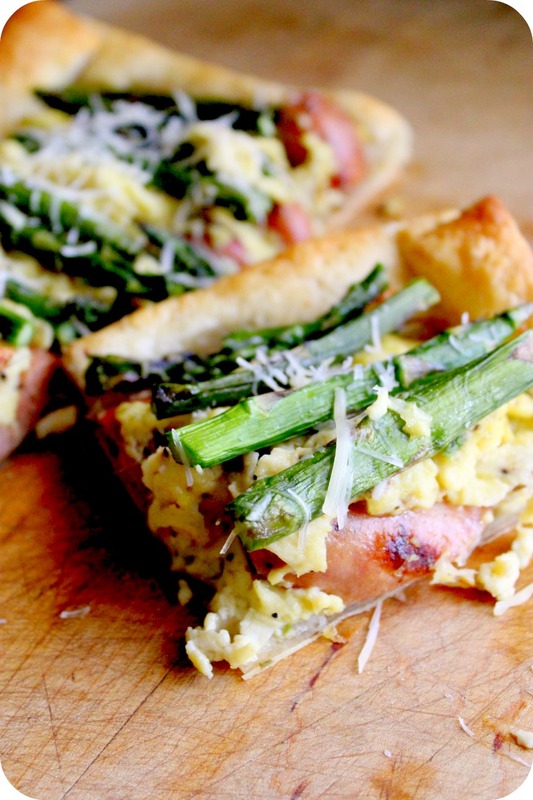 To assemble, microwave the sauce until hot and smear a generous amount into the baguettes. 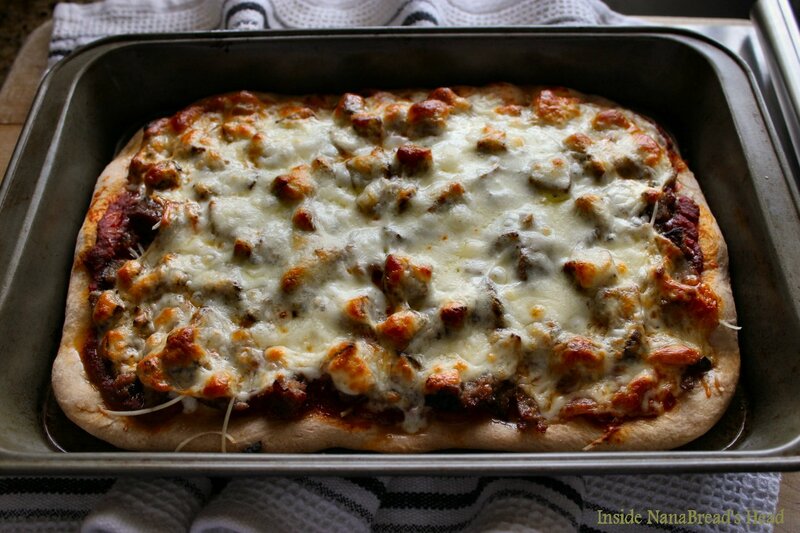 Toss in enough meatballs to fill them and top with a slice of provolone cheese. 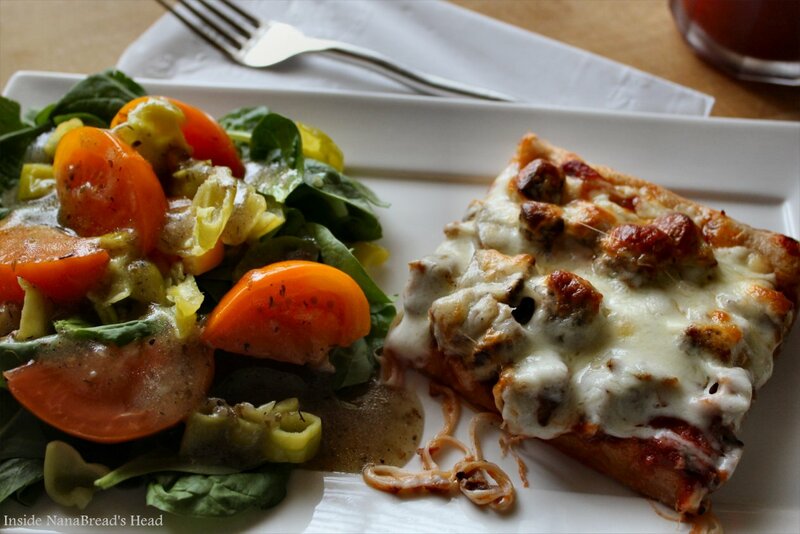 Presto – a second quick & easy dinner in about 30 minutes. Do you plan meals that multitask? If so, what is your double-duty favorite? 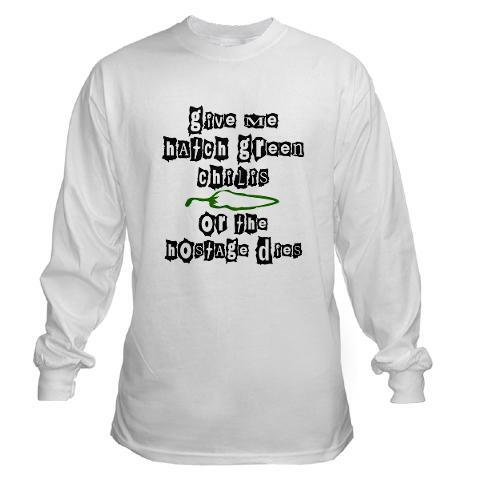 Hatch Green Chilies? Yes, Please! I love peppers. Oh, how I love them. My family and close friends are probably laughing right now, because they know my dirty little secret – I don’t like bell peppers. Don’t judge. I love every other pepper known to man, or at least all the ones I’ve tried. I just don’t like the green bell version. I’m trying to love red and orange bells, so forgive me. Know what I DO love? Chili peppers. 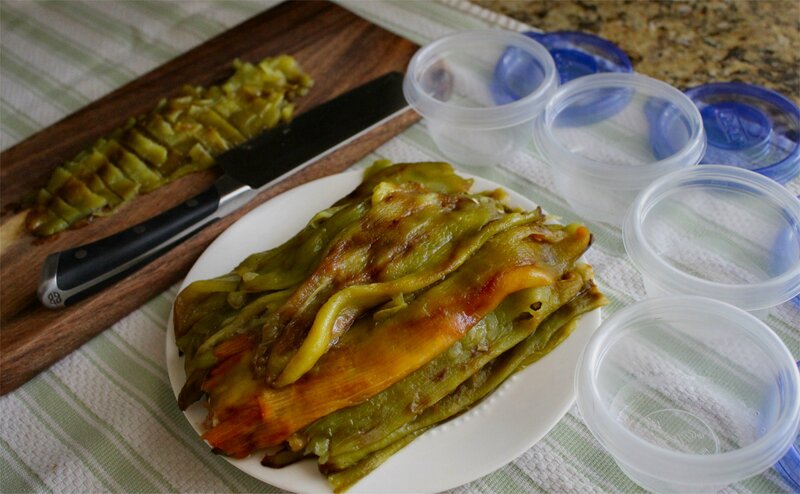 Green chilies, jalapenos and poblanos are my favorites. Which is why yesterday was the best grocery shopping experience EVER. 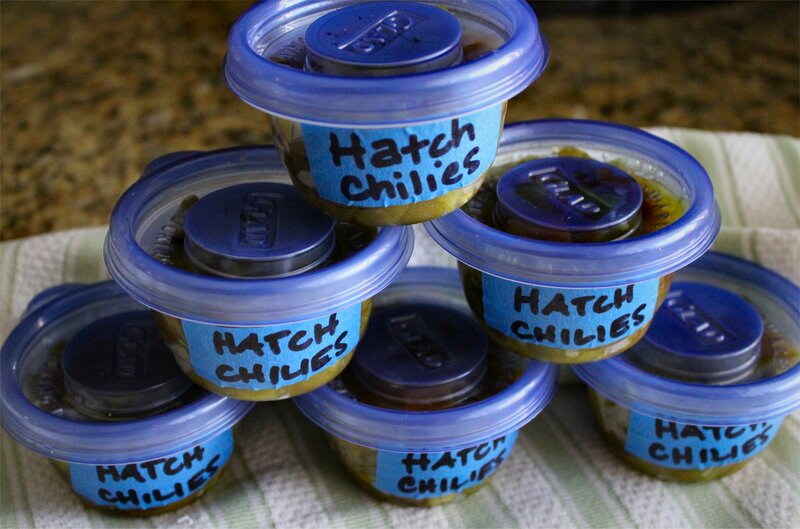 It’s Hatch Chili season. Ever heard of it? 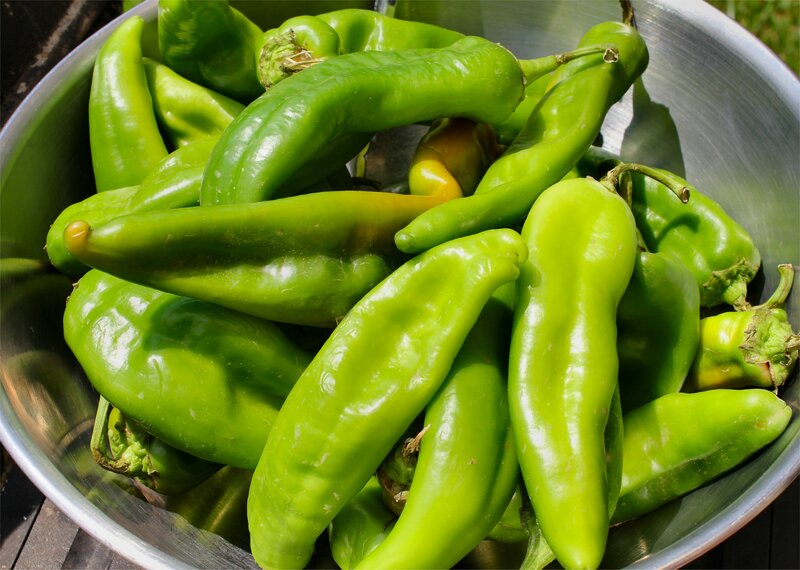 Hatch green chilies come from the town of Hatch, New Mexico. When they’re plentiful, you can find a bounty of them, even here in Houston. Texans L-O-V-E their peppers, and when it’s chili season, restaurants try every conceivable way to use them. It’s glorious. A few years ago, our neighborhood HEB store was roasting Hatch chilies on huge charcoal grills right out in front of the store. The smell of roasting peppers washed across the parking lot and drew me in like those cartoons of people drifting with their feet off the ground towards whatever is enchanting them. For me, it’s roasting peppers. Good Lord in Heaven… if they could put that scent into a candle, I’d burn it all day long. If they could bottle it, I’d be smearing it on my wrists and rubbing it behind my ears every morning. It’s my kryptonite. Fresh Hatch chili peppers are firm and fragrant. When I cruised through the produce department, they weren’t roasting them dang it. They were putting them out in large cardboard bins with a sign that said “Hatch Green Chilies – 99 cents/pound.” To which, I believe I said (out loud), “Well, then… I’m gonna need a BIG bag” as I twitched and giggled maniacally and watched a few little old ladies back away in terror. I’m just being straight with you – nothing comes between me and my chili peppers. As soon as I got home and got my groceries put away, I fired up the grill and started roasting. Was it 101F? Yes, it was. Did I care? No, I did not. Once they are blackened and hissing from the steam building inside, you remove them from the grill and put them into a heat-proof bowl. Cover the bowl with a clean towel, then cover the towel with a lid. You have to let your chilies sit and steam for at least 30 minutes. 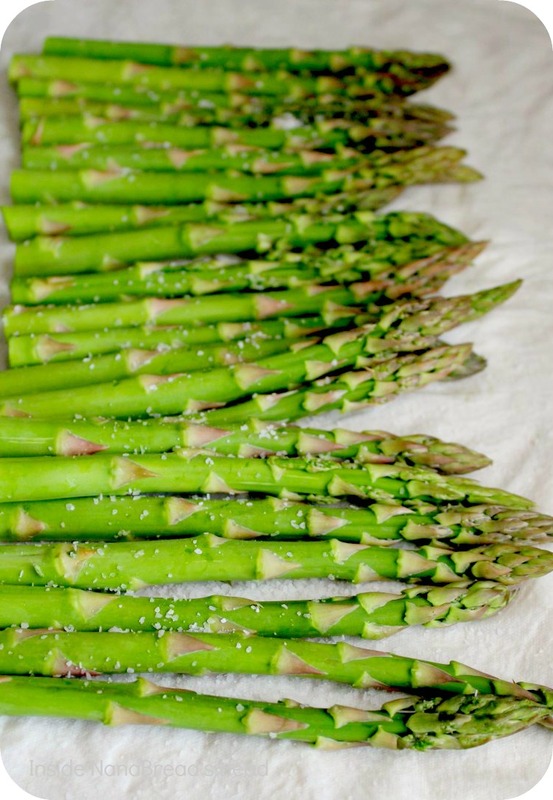 Once they’re cool enough to handle, you simply peel off the roasted skins, remove the stems and squeeze out the seeds. What you’re left with are these gorgeous, roasted chilies. 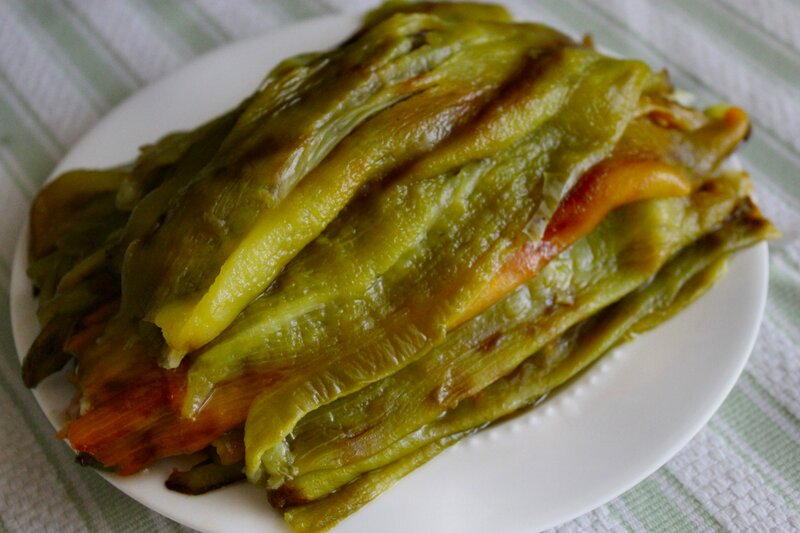 Hatch Green Chilies - roasted, cleaned and ready to eat. Three and a half pounds of chili peppers may sound like a lot. It even looks like a lot when you seen them all spread out on the grill, but it’s horribly misleading. I’m not joking. That photo above? That’s a dessert plate, not a dinner plate. My 3.5 pounds of fresh peppers yielded 3 cups of roasted, peeled peppers. I know what you’re thinking – that’s not nearly enough. Right? That’s what I said! I like to chop mine and freeze them for use all winter. Those cute little Gladware containers hold 1/2 cup each. It filled six of them. If you were a fly on my wall, you would have seen me standing over them, shaking my head, mumbling “not enough… not nearly enough.” Scary? Nah. Obsessive? Maybe a smidge. But when you love chili peppers as much as I do, you can’t help but covet them when they’re in season. Which is my way of saying I’m going back tomorrow and buying more. If you live in the southern burbs of Houston, you’d better get to HEB early tomorrow. If I make it there first, there may not be any left. Consider yourself warned. PS – don’t get between me and the chilies. This is not enough. Not nearly enough.